Jia and I hit some tennis balls this evening. Right as I was about to call it a night, I saw this little dude right on the court. 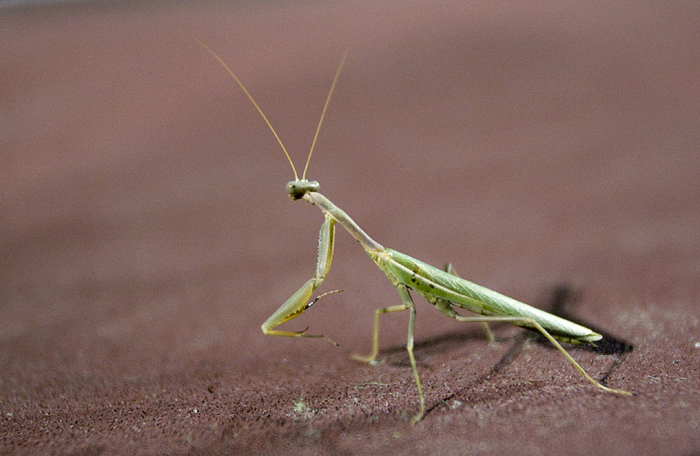 As my lens got closer to him (and I got pretty darn close), he would posture up and get into a kind of boxing stance. It was pretty funny.